When Mega Man X was released in 1994, it served as a unique take on the Mega Man series. It starred a newer, edgier Mega Man that fought evil robots called ‘Mavericks’ over a hundred years after Dr. Light and Dr. Wily of the original series had passed on. The more mature take on Mega Man proved to be a roaring success, so much so that it ended up launching its own sub-series. Mega Man X2 followed suit with its predecessor a mere year later, and while X2 may not add too much newness to the formula, it still provides a stellar sequel. Set six months after the defeat of the evil Sigma, Mega Man X2 sees the titular Mega Man X (or simply ‘X‘) as the new leader of the Maverick Hunters, following the death of Zero in the first game. Three of Sigma’s most loyal followers – the oddly named trio of Serges, Agile and Violin – have rallied Sigma’s remaining forces in an attempt to destroy X and the Maverick Hunters and rebuild their empire. The evil trio – collectively known as the “X Hunters” – also hold Zero’s body part, which X seeks to retrieve in hopes of rebuilding the fallen hero to repay his sacrifice. The relatively personal plot (bad guys with a vendetta, Mega Man trying to save Zero) helps X2 not only stand out from its predecessor, but the franchise as a whole. 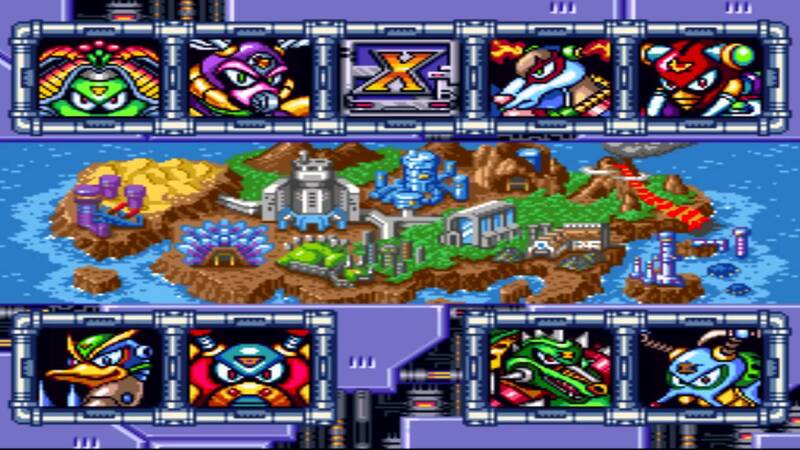 As you may expect, X2 follows the series’ trademark setup: an introductory stages teaches the basics, choose from eight different main stages and defeat the Maverick boss fight at the end of each one, get said Maverick’s power, use that power on a later boss who is weak against it. After all eight stages are completed, the final few levels can then be played in sequential order. 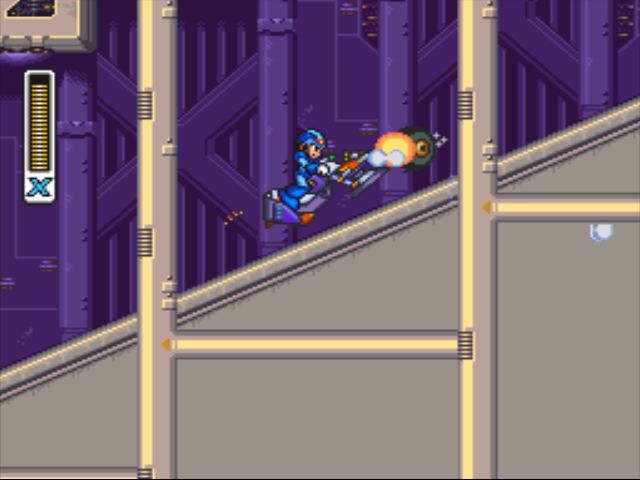 In that sense, Mega Man X2 is a very tried-and-true sequel, but one of the benefits of the platforming genre is that even with similar core gameplay, the level design can make for a very different experience. And in that sense, X2 does a great job in standing out from its predecessor, with new ideas and level gimmicks that keep things fresh and exciting. One stage has X riding on a motorcycle in the desert, and another sees him avoiding searchlights to prevent traps from activating, Metal Gear style. 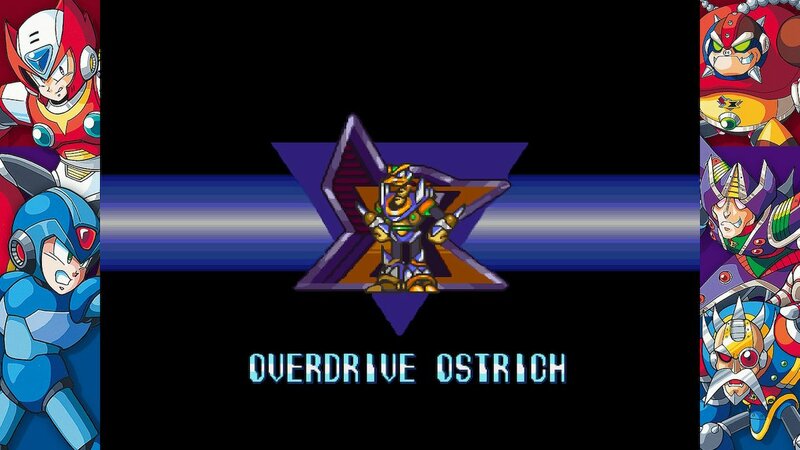 The eight Mavericks here are Bubble Crab, Morph Moth, Magna Centipede, Wire Sponge, Flame Stag, Wheel Gator, Crystal Snail and Overdrive Ostrich (which is possibly the best character name in video game history). Admittedly, they aren’t as memorable as the Mavericks from the first game on the whole (we’re only into the second entry and they’ve already resorted to a sea sponge? ), but the stag, ostrich, snail and gator are pretty darn cool. Each of these eight levels feel unique from one another. And like the first game, they hide a host of secrets. Each stage features a hidden Heart Tank to increase X’s maximum health, while four stages hide Sub-Tanks (collectibles which store health to be used at a later time), and four contain hidden upgrades for X’s helmet, armor, legs and blaster. While the blaster upgrade is more or less identical to that of the first game, the other upgrades provide different bonuses than they did the first time around. X2 adds a nice twist to the formula, one that contributes to the game’s aforementioned story. After two Mavericks are defeated, Serges, Agile and Violin will then hide out within the six remaining levels, and can be fought if Mega Man X can find the optional boss room within the stage’s they’re currently hiding. If X defeats one of the X Hunters, he is rewarded with one of Zero’s pieces, and the game’s story is altered if X collects all three. But the X Hunters jump to different stages every time the player completes a level or gets a game over, and they don’t visit completed stages, which will further influence which order the player chooses to complete the levels. Another area in which Mega Man X2 shines are the visuals. 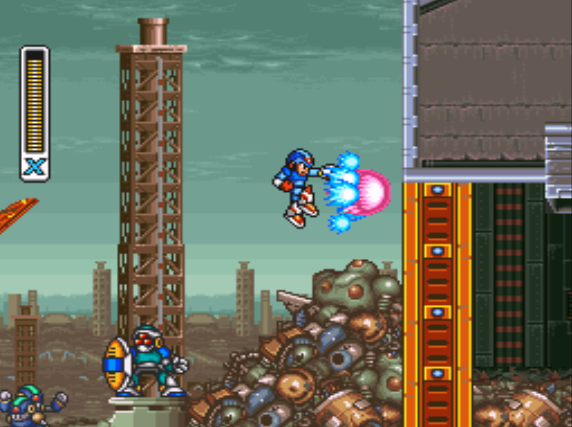 The original Mega Man X was already a visually timeless title that has held up beautifully, and X2 adds to the aesthetic appeal with more detailed environments and character animations (Overdrive Ostrich being a tiny silhouette in the distance before jumping to the foreground to confront Mega Man is a particular highlight). X2 even went the extra mile and added new visual effects into the mix, including some 3D boss enemies. While Mega Man X2 equals its predecessor in most respects, there are a few areas which prevent this sequel from being an all-out improvement. The concept of levels being altered depending on which order yo play them in – which helped set the first Mega Man X apart from the original series – seems completely forgotten with this second go around. One could argue that the X Hunters traveling between stages is X2’s equivalent of the first game’s altering of levels, but simply replacing one element with another, when so much of the game is decently similar, may not seem like a fair trade-off to some players. Additionally, the music – while still great in its own right (this is Mega Man, after all) – doesn’t quite reach the same heights of its predecessor. Mega Man X2 continues what its predecessor started, even if it doesn’t surpass it. While that obviously raised some eyebrows given the reason that Mega Man X existed in the first place was because the Mega Man franchise had grown a bit stagnant, X2 is still an exceptionally fun action-platformed even today. Mega Man X2 may feel like a tried-and-true sequel, as opposed to a series-redefining second installment like Mega Man 2 was for the original series, but if this is a case of ‘more of the same,’ then it’s more of the same of a very excellent experience. And that’s not so bad, right?